After taking a few days off with this being my birthday week, I decided to sit back and find some type of horror flick for my Saturday viewing. Unfortunately, I could not find anything that screamed to me. 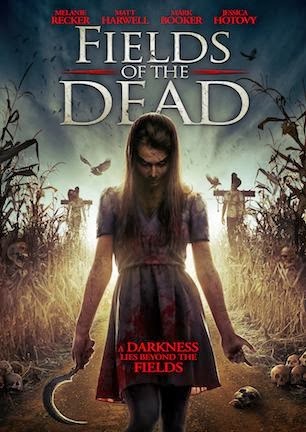 After some thought, I decided on the 2014 entry Fields of the Dead. Plot/ even friends find themselves on an isolated farm. Here, they discover an ancient book, which summons demons from the surrounding woods. Now, these friends will have to find a way out of the fields, if they want to survive. A few months ago, I sat back and watched Underground: the Julian Assange Story, a movie focused on the early career of one of the most famous hackers known. I should have stopped there. While I do support the whistleblowers and what Assange stands for, I cannot sit back and watch him and his efforts be drug through the mud by an agenda driven Hollywood establishment. That is exactly what is happening here in The Fifth Estate. 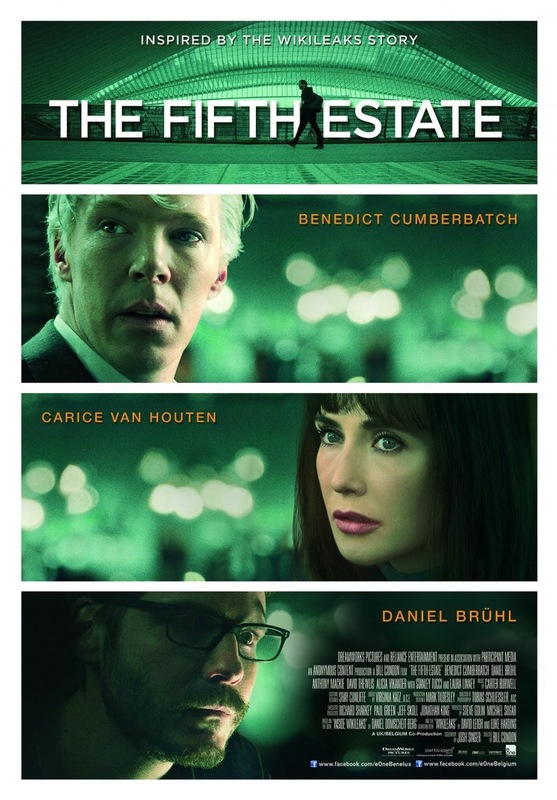 Plot/ A dramatic thriller based on real events that reveals the quest to expose the deceptions and corruptions of power that turned an Internet upstart into the 21st century's most fiercely debated organization. The weekend has come and gone a it was back t the institute. For some reason, we do not get President's Day off, and what I had often viewed as a three-day weekend near my birthday, is but a faded memory. Oh well, now I an preparing for the ice storm that should greet my birthday morning. 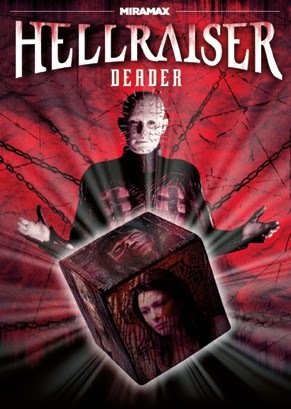 Catching up from the weekend, the next selection if Hellraiser: Deader from 2005. Plot/ A journalist uncovers an underground group who can bring back the dead and slowly becomes drawn into their world. This has been a strange week. Between crazy weather and a rogue illness, I have had a rough week. Honestly, when I sleep for over 13 hours straight in an night, there is something wrong with me. On top of that, I just lacked energy and did not watch anything. This weekend I did get caught up on my health and with some movies. First up, the 2013 ghost story Haunter. Plot/ The ghost of a teenager who died years ago reaches out to the land of the living in order to save someone from suffering her same fate. Stand up and say enough already. Stop the the building Agenda 21 Police State and protect your internet rights. This weekend, The Ringmaster’s Realm had the chance to catch up with writer / director Erik Bloomquist of a new project entitledFounders Day. This layered mystery has an awesome concept trailer that boasts both atmosphere and characterization; a sample that make us want to see more. After you check it out, you too should be amazed this project is in its infancy, as it already delivers more than some horror that it is already on the shelves. In FOUNDERS DAY, the quaint, suburban town of Fairfield is shaken by the shocking murder of high school student, Melissa Thompson. 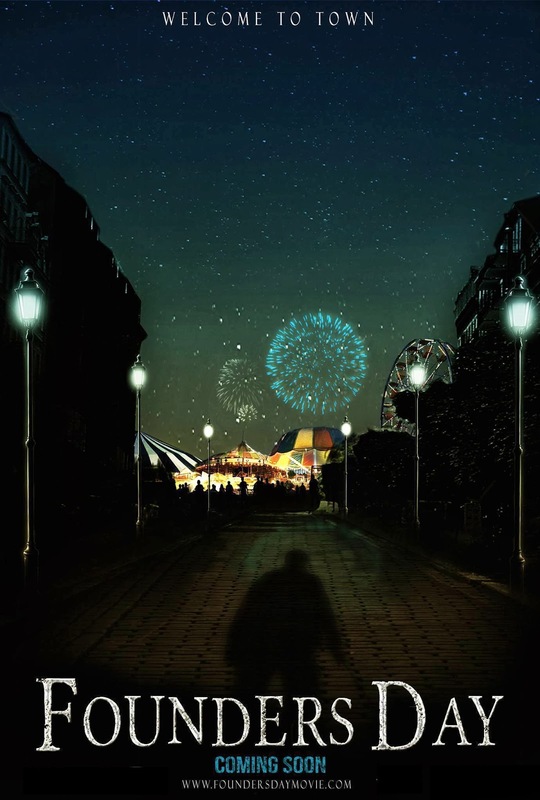 The prime suspect is jailed, and the residents look to the town's bicentennial celebration to provide a sense of strength and normalcy. When more bodies turn up, however, the citizens of Fairfield grow increasingly suspicious of one another. With no clear motive, everyone is a suspect. After spending Friday enjoying the Kevin Smith classic Dogma, it was time to watch the flick that was originally scheduled in that slot. While I usually stick to a schedule, sometimes it is nice to share the television. With my schedule now intact, I watched the 2013 flick Dark Touch. Plot/ In a remote town in Ireland, eleven-year-old Niamh finds herself the sole survivor of a bloody massacre that killed her parents and younger brother. Suspecting a gang of homicidal vandals, the police ignore Neve's explanation that the house is the culprit. To help ease her trauma, dutiful neighbors Nat and Lucas take her in with the supervision of a social worker. Neve has trouble finding peace with the wholesome and nurturing couple, and horrific danger continues to manifest. There are times in my life where I realize that I missed something. It does not matter whether it was a great book, a great ban, or even a great movie, having spent so many years out to sea, I just overlooked some classics. 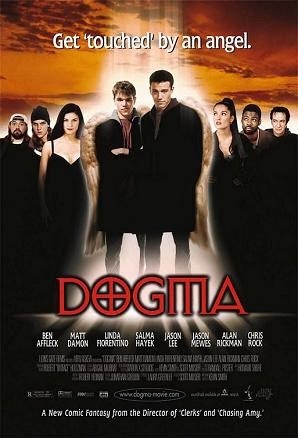 As I discovered tonight, that was the case with the 1999 classic comedy Dogma. Yesterday, I unfortunately battled a headache all day after my 2.5 hour drive to work in the snow. While I do not mind driving in the snow, eight inches of fresh snow is not fun. Now the forecast is for an inch of sleet, I cannot win, especially as the institute never even posts a delay. To help me pass my evening after NCIS, I decided upon the 2013 flick, The Banshee Chapter, something I had never heard of until tonight. Plot/ A Journalist Anne Roland explores the disturbing links behind her friend's sudden disappearance, an ominous government research chemical, and a disturbing radio broadcast of unknown origin. The Kennedy Assassination has always been one of the biggest stories I have researched. While like many others, I have no answers, I will continue my search for the truth, as the company line does not work. Even the b government understands that, ruling the Warren Report missed some details in a little known ruling from the 1970s. With this being a disappointing Super Bowl Sunday, I decided to kick back and watch the 2013 Kennedy Assassination film Parkland. 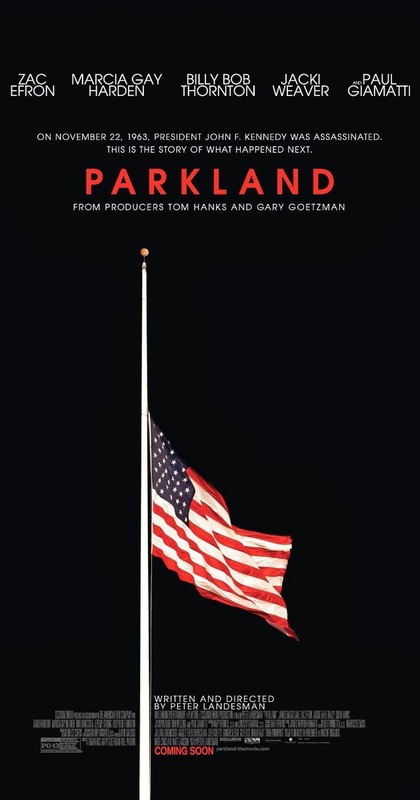 Plot/ A recounting of the chaotic events that occurred at Dallas' Parkland Hospital on the day U.S. President John F. Kennedy was assassinated. Last night I was a bit disappointed with my movie selection. While the case sounded interesting, it did not in any way live up to the description. For tonight, I was able to pick up one that I know will have some schlock moments, the 2012 Dario Argento 3D adaptation of the Bram Stoker classic, Dracula. Plot/ It has been 400 years since Count Dracula's beloved Dolingen De Gratz passed away, leaving the immortal bloodsucker forever abandoned. But when he discovers that local newlywed Mina Harker bears a striking resemblance, Dracula embarks on a bloody quest to reunite with his long lost love and live forever with her in hellish immortality. Only the arrival of vampire expert Abraham Van Helsing can put an end to the unholy plan.